Samsung’s Portable SSD X5 features a design that just oozes speed—but how did it come about? Samsung Newsroom spoke to members of the team behind the device to find out. 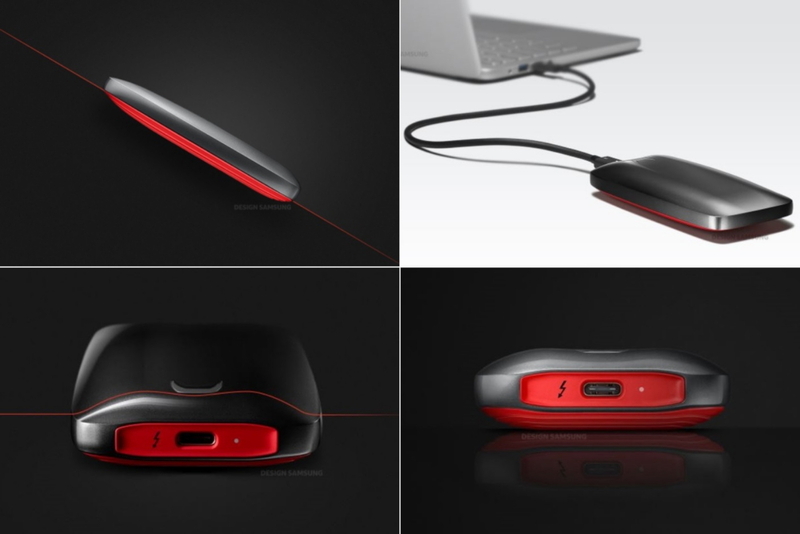 Featuring fluid lines that resemble the hood and chassis of a high-performance supercar, as well as a sleek gunmetal-and-red aesthetic that evokes pure, unadulterated speed, Samsung’s Portable SSD X5 is the product of a long and meticulous design process. A process that saw the company draw up more than 100 mock-up designs—and experiment with a wide variety of colors, sizes and shapes—before ultimately landing on the seamless form you see before you. 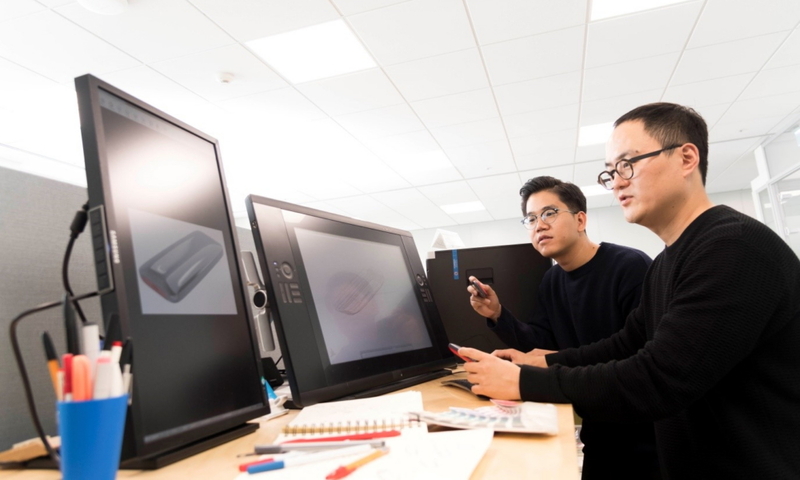 On November 13, Samsung Newsroom spoke with the designers behind the X5—Teukmo Ahn, Hyungsup Shim, Yoorim Yang and Gyejin Jun, of Samsung Electronics’ Brand Product Marketing Group—who discussed the device’s unique design philosophy. According to Designer Hyungsup Shim, the team decided early on to produce a design that embodied the exciting speeds that the X5 was introducing to the market. With that idea in mind, Shim added, the decision to fashion the design after a cutting-edge supercar was a no-brainer. 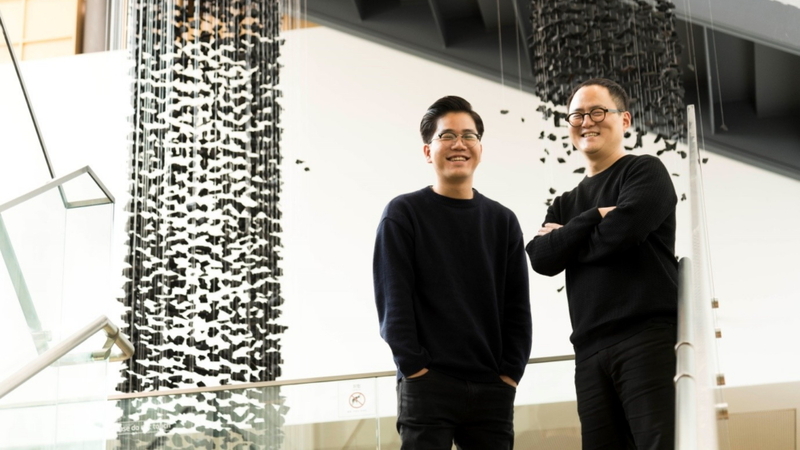 This decision also meant that the device’s form would represent a departure from traditional memory storage device designs, which tend to focus on making products as simple and small as possible in an effort to make them durable and portable. The X5’s eye-catching design challenges the traditional notions of simple and small, without sacrificing the durability and portability that users prize. 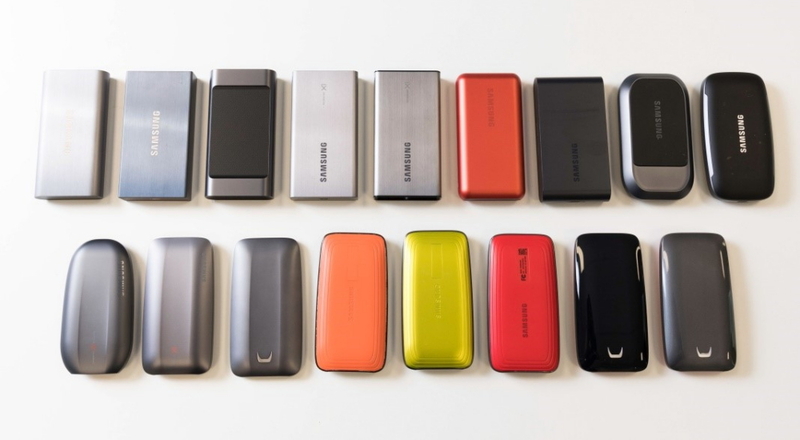 The designers continuously refined the SSD’s details, including its color, materials and shape, in order to achieve the exact design that they had in mind. They carefully shaped the lower half of the device with aerodynamic lines; treated the upper half to a UV coating that evokes the glossy exterior of a supercar; and even fashioned a unique emblem that resembles the type of sleek hood ornaments that are traditionally found perched above the vehicles’ powerful engines. The X5’s powerful engine enables market-leading transfer speeds. Such speeds could make a conventional portable SSD prone to excessive heating, but Samsung’s design team worked hard to find a solution to this problem. Reflecting back on the design process, Shim discussed some of the difficulties that came with trying to resolve the heat issue while maintaining a compact form. The team worked long and hard to identify an optimal size and shape. The result of these efforts is a device that remains cool under pressure, and is verified not to exceed 45 degrees Celsius when in use. In addition to performance, the team highlighted durability and usability when hammering out the X5’s final design. For example, because portable storage devices are meant to be easy to carry, the design team carefully tapered the SSD’s form to ensure a comfortable grip, and applied a soft finishing to its lower half to prevent it from slipping out of users’ hands. The drive’s exceptional durability stems from the team’s decision to fashion it out of a strong and lightweight magnesium alloy that enables it to withstand accidental drops of up to two meters. As the designers explained, the decision to use magnesium instead of the more commonly used aluminum presented difficulties from a design standpoint, as magnesium is generally harder to finish. This meant that the team would have to finish the device by hand. It can also be quite difficult to color magnesium. The team welcomed the challenge, however, applying layers upon layers of color until the device was just the right hue. Even the colors of the labels on the bottom of the drive were coordinated to accentuate the aesthetic. The result of these extensive efforts is a device that the design team is very proud of, which offers content creators and on-the-go professionals the portable storage solution they’ve been waiting for.